Only two juniors ran in the last Striders 10K race of the season, but quality made up for quantity! Emma Mcglinn has reduced her PB by just under 6 minutes over the season. Hannah Gibson holds the girl's juniors 10K record at 38:30 and she won the 10K open women's event!!! What a STAR!!! She looked effortless too. David Gardiner got close to the male juniors 10K record of 36:08, when he ran a blistering 36:35 in the Rebel sport 10K. Ben Jagger and Gus Wong also ran and did well. 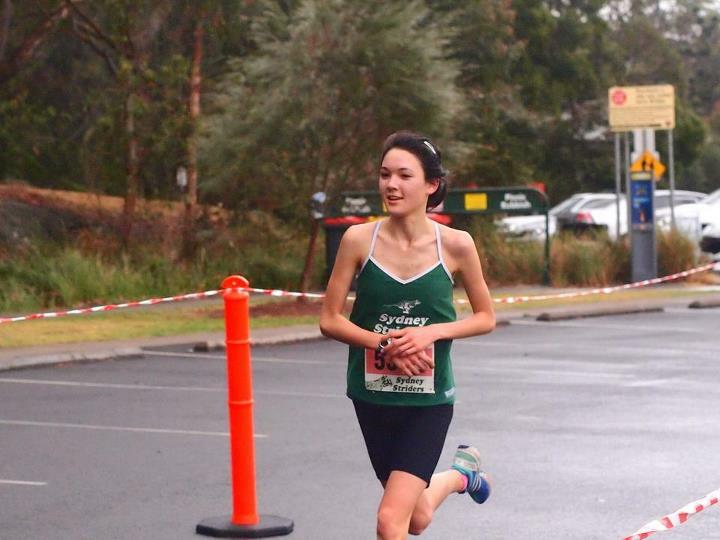 Hannah was described as looking 'effortless' as she won the women's race in the last Striders 10K of the season at Lane Cove in a time of 38:30 - a juniors record!